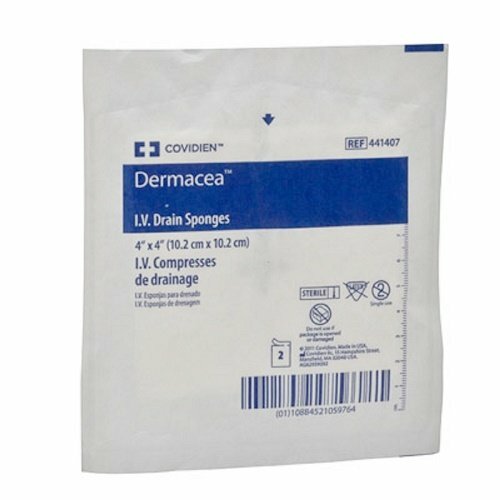 Kendall Dermacea Non-Woven Drain Sponge - Sterile - 4" x 4"
Kendall Dermacea Non-Woven Drain Sponge - Sterile - 4" x 4" from FirstOptionMedical.com is made of a synthetic blend of rayon and polyester that helps provide fast wicking action and superior absorbency. The unique pre-cut T-slit conforms snugly around drains, catheters, chest tubes, I.V. 's and tracheotomies.